A leveraged buyout (LBO) is the acquisition of another company using a portion of borrowed money to purchase an asset. Typically, you will see anywhere between 50%-60% of a purchase being debt. This allows the acquisition of a company without the commitment of much capital up front. 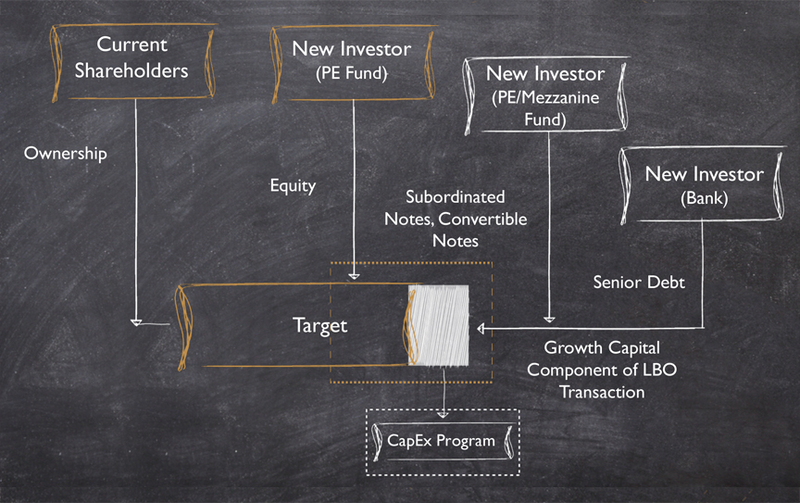 In Private Equity deals the goal is to try and get a higher return on the equity invested. Typically, when you look at a conservative deal you will end up with a low double digit internal rate of return (IRR) without leverage. 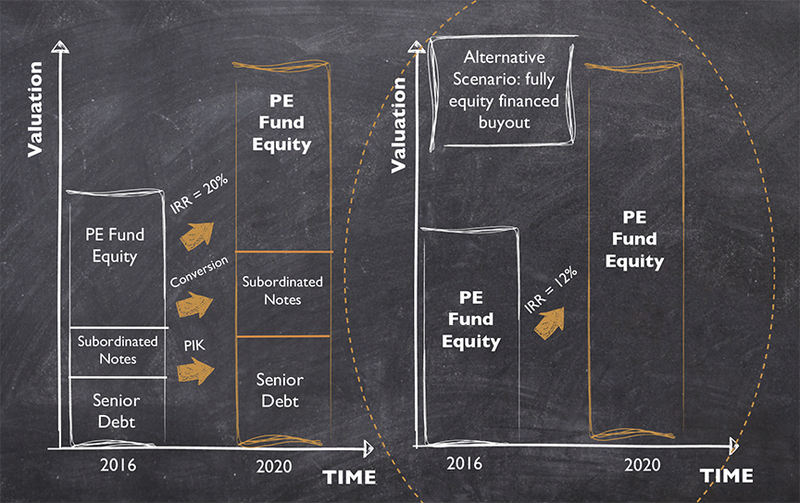 PE firms have found that if you add a reasonable amount on leverage to a purchase you can turn what would have been a 12% IRR into a 20% IRR for investors. • Senior Debt: Safest, first money out, least expensive and usually has long term maturity. 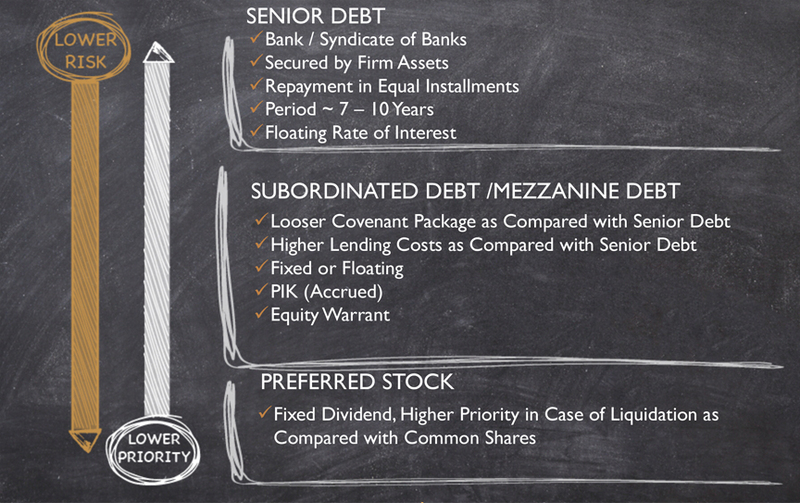 • Subordinate Debt/ Mezzanine Debt: Slightly riskier but has potential for higher a higher reward than senior debt. • Preferred Stock: Similar to taking an equity position, still partake in returns but safer. Private Equity firms buy equity in a company, in part, with money borrowed from lenders and grow that equity value over time. This generates returns. Current shareholders will make up 20% of the capital needed and new investors, or the fund, will make up the additional 80%. Within that investor ownership is where debt comes into play to help fund the buyout.